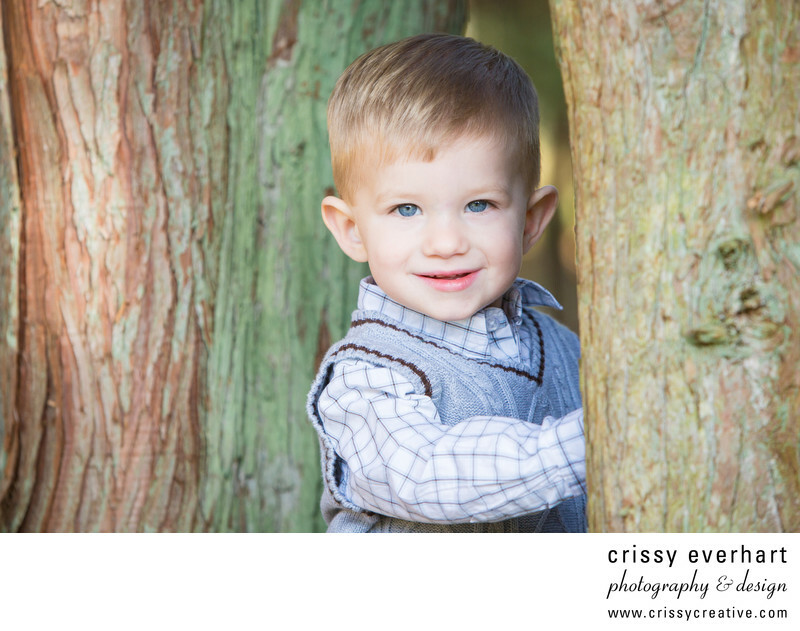 This little boy shows off his stunning blue eyes as he peeks out from behind a tree in the park. He wears a plaid white and blue shirt with a grey sweater vest. The trees have a greenish tint to them from moss, creating a cool color palette that make his eyes pop.